Meghan Markle and Prince Harry are moving out from their Kensington Palace apartment as reported "tensions" are growing between Harry and his older brother Prince William. On the outside, it's business as usual for the British royals, but behind the scenes is a flurry of activity as their father Prince Charles is taking a more central role preparing for his future as monarch, while William is being primed as second in line to the throne. This leaves Harry, who has long been William and wife Kate Middleton's right hand man, in the position of finding his own way as he drops lower down the line of ascension. Since his wedding to Meghan Markle in May, it has been full steam ahead for the new royal power couple, who have already embarked on two state visits and are preparing for the arrival of their first child next spring. 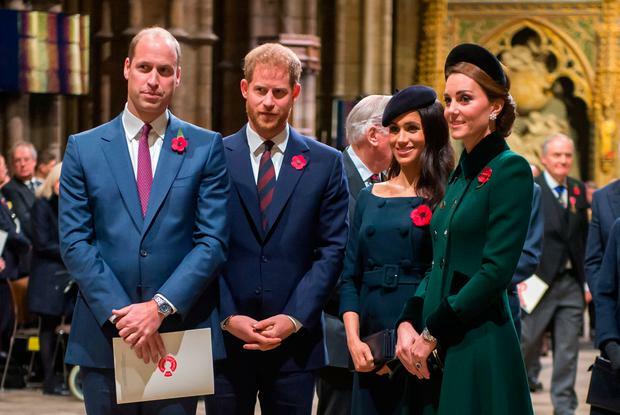 It's also reported that they will be splitting their courts when the baby comes instead of the 'Fab Four' operating under the same Kensington Palace umbrella as they have for the last number of years. 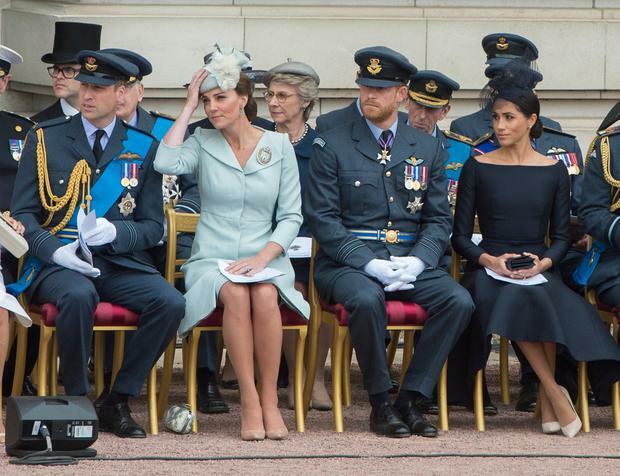 Now it's reported that the couple are planning a move from their two-bedroom cottage at the palace in favour of Frogmore Cottage in Windsor, near where they exchanged vows earlier this year. It was decided they needed more space as their family expands but real estate within KP is at a premium - and long-standing residents like the Duke of Gloucester have no interest in moving after living there comfortably for so many years. Another element is that they are said to want some physical distance between William and Kate and are considering having an entirely independent London space, which is in keeping with the general opinion that the pair want to raise their child as normal as possible. "The initial plan was for Harry and Meghan to move out of their cottage in the grounds of Kensington Palace and into one of the main apartments," an insider told The Sun. "But there has been a bit of tension between the brothers. Now Harry and Meghan don’t want to live next to William and Kate and want to strike out on their own." Similarly, the Daily Mail reported earlier this week that they "don’t want to live next door to William and Catherine." "They will soon have separate offices and separate lives, so it would make sense for them to live further afield," a source told the paper. "There is no reason why their London home has to be at Kensington Palace. There are plenty of other options, including using their own money to buy their own place." Kensington Palace press office confirmed the news on Friday, albeit minus the juicy gossip, in a statement saying: "The Duke and Duchess of Sussex will move to Frogmore Cottage on the Windsor Estate early next year as they prepare for the arrival of their first child. "The couple have lived at Nottingham Cottage since their engagement last year." Frogmore, a 10-bedroom estate, was a gift from Queen Elizabeth as real estate remains her preferred choice of present for royal newlyweds. It is undergoing extensive - and costly - renovations, which will be completed in time for the move. 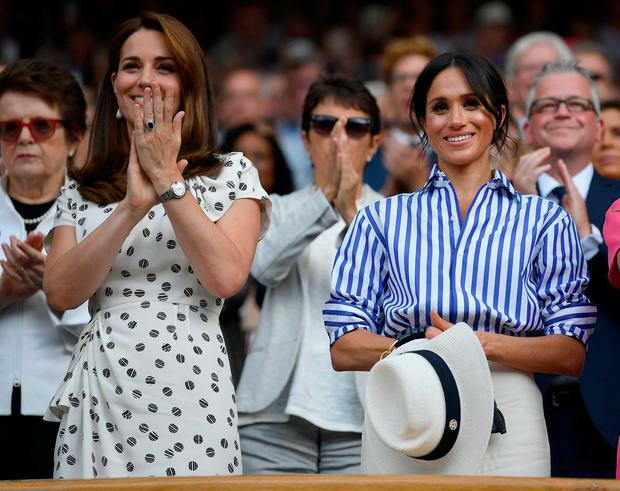 "Windsor is a very special place for Their Royal Highnesses and they are grateful that their official residence will be on the estate," the statement added. "The Duke and Duchess’s office will continue to be based at Kensington Palace."